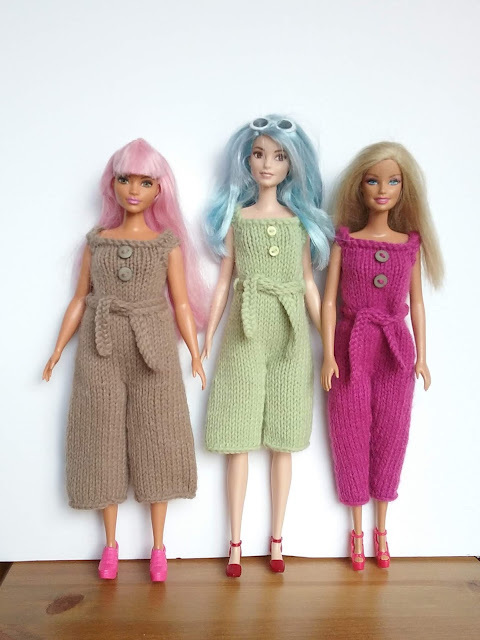 For Curvy Barbie dec 1 stitch at each end of 5th and then every 4th row to 14sts. Make loops to keep the belt in place. 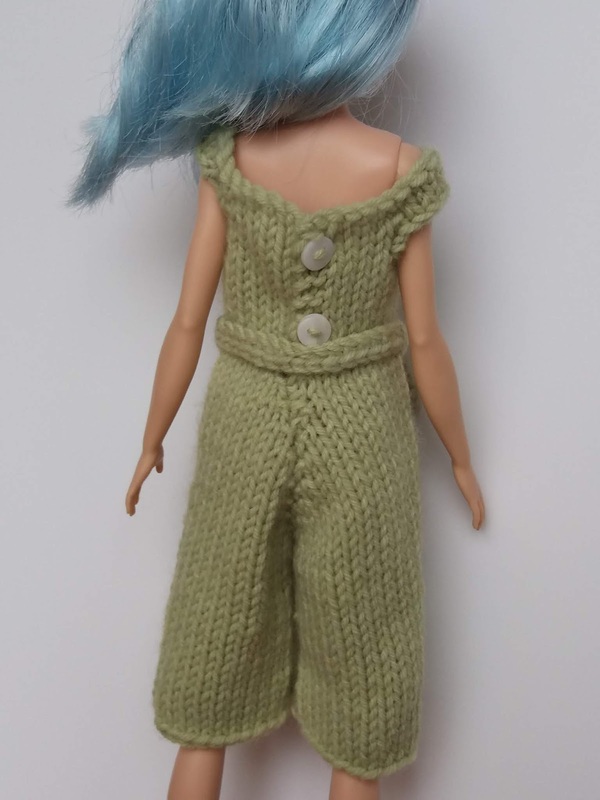 With the jumpsuit on the doll, tie belt around doll. On each side of the waist sew a loop around the belt and secure at the reverse side of the jumpsuit.